Students from a variety of disciplines are encouraged to apply, for example, architecture, civil engineering, economics, environmental studies, geography, planning and psychology. We normally require a first degree of 2:2 or above, as well as evidence of some past experience with applying design skills. We will also consider applicants with an appropriate professional qualification, such as the Bristol UWE Certificate in Professional Development in Transport, or with substantial relevant experience. This course mainly focuses on UK policy and practice, but the issues which it considers are of increasing importance and relevance to many situations around the world, so the course may be suitable for international students intending to return to work in their home countries. Transport and Urban Design is one of the ‘routeways’ through the MA Built Environment Studies course. The title of your qualification would be MA (or Postgraduate Diploma or Postgraduate Certificate as applicable) Built Environment Studies (Transport and Urban Design). Transport activities provide a fundamental function for societies and economies, but at the same time often lead to problems of congestion and environmental impact that seriously undermine quality of life. The way in which we provide for transport also fundamentally determines the nature of place and has a broad impact on the sustainability of communities, particularly in urban areas. Both in urban and rural areas, increasing official recognition is being given to the link between transport choices, the nature of the built environment and citizens’ health. The recent and important Foresight report (1) predicts that more than half of adults and a quarter of children in Britain could be obese by 2050 unless a range of measures are adopted. In the case of transport and urban design, specific interventions named by the report include increasing cycling and improving the physical design of communities. Within the built environment professions there is also growing awareness that traditional approaches to traffic management (segregation, regulation, instruction) are inappropriate for building sustainable urban environments. Responding to this agenda, this unique routeway combines the essence of two well-established courses, drawing core aspects from the MA Urban Design and the MSc Transport Planning to create an overall approach which critically combines, contrasts and examines traditional approaches to traffic management (focusing on the speed, reliability and safety of traffic flow) with the new thinking on the topic, as enshrined by the ‘Manual for Streets' (2). Hence a more holistic approach is synthesised – one which considers complex human psychology and broader needs, such as the quality of space and place. (1) Foresight Programme, (2007). Tackling Obesities: Future Choices. Government Office for Science, London. (2) HM Government (2007). Manual for Streets. Department for Transport, London. A central requirement of this important and fundamental national shift is that transport planners and urban designers need to work more closely together. One of the ways in which these skills can be brought together is through inter-professional bespoke training, such as that offered by this course. The course offers postgraduates the opportunity to acquire and develop the skills for a transport and urban design-oriented career in the built environment professions or in a voluntary body or an NGO. 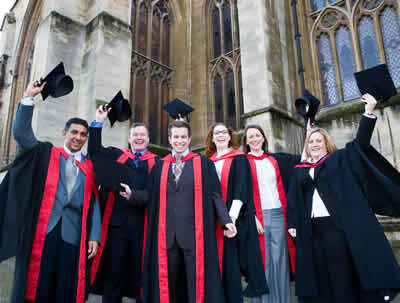 You will study in a centre of recognised teaching and research excellence in the field of the built environment. An application is being made to the Chartered Institute of Logistics and Transport (UK) for the routeway to be accredited, with a view to meeting some or all of the academic requirements for corporate membership of the Institute. Active transport research centre at the forefront of the field. In short, a stimulating and supportive learning environment. The distinctive nature of the course reflects the core interests of the Faculty in the relationships between transport and society, high quality urban design and building sustainable communities. These include the module Transport Economics and Appraisal and two design-oriented modules: Planning and Design Quality and Sustainable Design. Also scheduled in Stage 1 is the main teaching input covering research methods. Together these are intended to build core skills, particularly in terms of design and master planning, but also in respect of the analysis of sustainable mobility and the conduct of research. Successful completion of Stage 1 provides sufficient credit (in the necessary combination) for the award of the Postgraduate Certificate. Semester 2 emphases the application of design and transport planning skills. Design in Sensitive Urban Areas involves a field trip, usually to a European location. Traffic Management and the Environment brings an understanding of the objectives and technical constraints from the perspective of the transport system, whilst Movement in the Urban Environment brings the two disciplines together in considering how travellers interact with the built environment. Finally, Transport Policy and Finance considers the broader context to transport policy, including international experience, which provides a source of comparative critique for UK practice. Successful completion of all the taught modules provides sufficient credit for award of a Postgraduate Diploma. Students seeking award of the MA will need to complete Stages 1 and 2 and, in addition, are required to prepare a dissertation on an issue bringing together transport and urban design considerations. During Stages 1 and 2 students will be encouraged to develop their dissertation topics, with support from the research module and from the academic staff encountered on the modules, and in particular the routeway leader. The full and part-time routes for students beginning the course in September 2008 are shown below. Currently available modules are detailed below. Please note that there are no 'option' modules if this specified routeway is followed. Modules are regularly reviewed to ensure that they remain up to date and relevant, so some of them may change before the course starts or whilst you are on it, but the overall aims and broad content of the course will remain the same. In part this module is designed to introduce students to the economic theory that underpins the understanding of transport policy and finance, including principles of demand and supply, cost-benefit analysis and the use of economic instruments to influence traveller behaviour. These economic skills are though presented in a broader sustainability context, together with social and environmental considerations, in introducing the state-of-the-art transport appraisal procedures now important in the UK and beyond. The module addresses the complex question: what is quality in the built environment? It explores the objectives of urban design that together can combine to create high quality places but also recognises the factors that militate against the creation of good quality and considers how these impediments can be overcome through planning and urban design strategies. Central to the module is the activity of place-making, in recognition that built environment professionals have an important role to play in achieving development that will stand the test of time, meet the needs of the diverse population and create places that will reflect 21st century aspirations. This module is about design strategies for achieving sustainable development. 'Design' in this context is the planning and design of a major urban extension using a contemporary case-study. The focus is on producing a masterplan for the area. Masterplanning is a skill that is at the core of what an urban designer claims to be able to do. The masterplan is a tool of implementation, a means of converting planning policy into practical developments. However, the key dilemma is the conversion of rhetoric into action. This is where this module comes in: how can we plan the spatial development of an area so as to give the maximum opportunity for reducing unsustainable practice and constructing a sustainable future? Note that word opportunity. As designers we do not determine how people choose to live, but we do open up or close down desirable choices. That is the challenge. The modules explore debates surrounding the approaches to research, and develop skills in analysis and the formulation of research proposals and methodologies. The module is taken by students on all the postgraduate programmes in the Faculty, although transport and urban design students will normally study in a group along with students from the transport planning and urban design programmes. The module provides a framework for enquiry to be used both in academic study and in practice, and is essential preparation for the dissertation. The devil is in the detail! It is important for the transport planner to give due attention to traffic management and the design of streets in delivering policy goals. In the past this has not always happened. Specific technical and analytic skills required for the effective planning and management of streets are taught, including geometric road design, traffic management techniques and the measurement of the impact of traffic on the environment. The purpose of this module is to enable students to understand the conflicts that can occur in the use of roads and streets and to gain experience with the methods that can be used to analyse and resolve these conflicts. This will be explored in the context of a range of environments ranging from historical town centres to motorway corridors. This module aims to give students the experience of balancing the need to ensure that a development is economically, structurally and functionally feasible whilst fitting into an historic street scene. The module focuses on design using development in a historic context. Students have to take on the role of developer, architect, highway engineer and urban designer and thus have to undertake financial appraisal and building design as well as townscape analysis and detailed site planning. Lectures and workshops related to the necessary skills support the design project that is central to the module. The complexities of the design and development process are explored through case studies. Conservation projects and strategies in Britain are evaluated in depth and are compared with schemes in another member state of the European Union. This comparative element requires a residential study visit to a European city; Barcelona, Berlin and Lisbon have been used on a number of occasions. Students prepare detailed reports analysing conservation projects from the point of view of aims, organisation, funding, impacts and appraisal of the designs. This module embodies the fundamental rational for this routeway: there is a growing recognition amongst the built environment professions that decades of planning which treated streets as corridors for high-speed movement rather than spaces for living has caused considerable damage to both the urban fabric and quality of life, and the status quo is a limiting factor on achieving an urban renaissance and more sustainable communities. The module considers the variety of functions that streets serve and how a balance can be achieved between movement, safety, sustainability and quality of life objectives. Knowledge from the field of psychology is applied, in considering the interactions between different classes of urban traveller, including pedestrians, cyclists and motor vehicle drivers. The aim of this module is to provide an understanding of policy and finance at the various levels of governance (local, regional, national, European, and international) and the political, economic and environmental factors that have shaped its historical development and will influence it in the future. The module will examine policy and regulation of the specific transport markets and modes, including transport provision in regulated and de-regulated markets, and evaluate the role of public sector intervention. Students will be invited to critically evaluate the relevance and successes of European Transport Policy. Emphasis will be given to the key challenges at the European level, and on to variation in the transport problems and practices between individual states within the EU. The dissertation is the culmination of the programme of study; it involves a high level of critical analysis, self-directed enquiry and working near to the boundaries of existing knowledge. Students seeking award of the MSc will also prepare a dissertation on a transport-related issue. During the course you will be encouraged to develop your dissertation topic, with support from the research module and from the transport academic staff, particularly the course leader. The Southwest Branch of the Chartered Institute of Logistics and Transport offers an annual prize of £300 to the student submitting the best transport planning dissertation. You will be assessed mainly by coursework and oral presentation, although there are some traditional written examinations. Assessment is by credit for each module, so flexible patterns for taking the course can be arranged. The course provides opportunities for students to develop and demonstrate knowledge and understanding, intellectual, professional, and practical skills in the field of transport planning. The course also aids the development of transferable skills, including those relating to communication, presentation, IT, and the planning and management of learning. A range of learning methods are used including formal lectures, workshops, seminars, projects, student presentations, field work and guided independent study. Teaching is offered mainly by the University's academic staff, supported where appropriate by leading external practitioners. The particular value of this course is that it will bring together a professional understanding of both transport and urban design issues – an important and expanding niche in the built environment. The Faculty covers most of the built environment disciplines and transport and urban design students will meet students from other disciplines taking the same modules – particularly transport, urban design and spatial planning students. The course draws substantially on UK practice and policy but emphasises theories, knowledge and skills that are highly relevant in the international context of built environment studies. There is wide expertise of international contexts amongst the faculty academics, including through work on research projects funded by the EU, and the transport and urban design tutor team is itself multi-national. Part-time: starting in late September you will attend for 24 two-day blocks, typically scheduled at a fortnightly interval during term-time over two academic years. Wherever possible, the two days in the block will be consecutive. The dissertation is prepared for submission, usually in either November or April of the third academic year. Full-time: starting in late September you will attend lectures on a weekly basis during term time, usually for two days per week. From June you will begin intensive work on the dissertation, with a view to submitting the following August, November, or April. 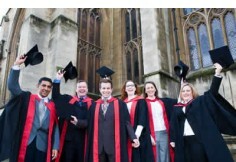 The Faculty's Graduate School was established in 2005. Its main purpose is to foster an active graduate community, encompassing students on postgraduate taught courses and students undertaking research degrees. There are currently around 700 postgraduate students (400 attending and 300 distance learning) on taught courses, and about 40 postgraduate research students. The Graduate School has dedicated space in the Faculty's building on the main campus, with teaching accommodation, a kitchen and informal areas. The work of the Graduate School is based on the Faculty's extensive research programmes, and on the innovativeness and high quality of its teaching. Student advisers for all postgraduate courses are located in the Graduate School Office, and they are your first point of contact if you have any problems or need information. The Student Handbook is also an essential source of information. You may also use the well equipped laboratories for spatial analysis (including mapping and Geographical Information Systems) and surveying technology, each with specialist technicians supporting both teaching and research. An audio-visual group provides support for photography, digital imaging, filming and sound recording. The Faculty has invested in online and offline computer-based resources to support modules, and especially those offered by distance learning. You also have access to a vast number of journals and databases online through the Bristol UWE library. The library and some computer labs on campus are open 24 hours, and the Faculty's suite of computer rooms supports software for word processing, data analysis, spatial analysis, computer aided design and other specialist software required by our students.